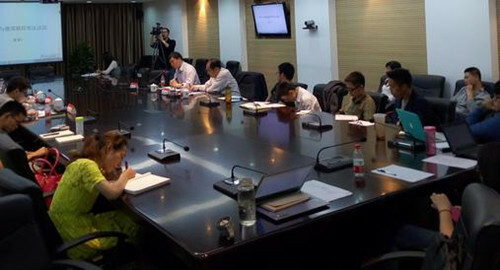 At 7:00 P.M., April 27th, 2015, the 4th Boya Public Law Workshop of PKU held successfully in Room 307, KoGuan Building, Peking University. Cheng Mai, associate professor of Nanchang University law school, is the speaker of this lecture. The theme is “Political Parties and Court of Constitution of Federal Germany”. 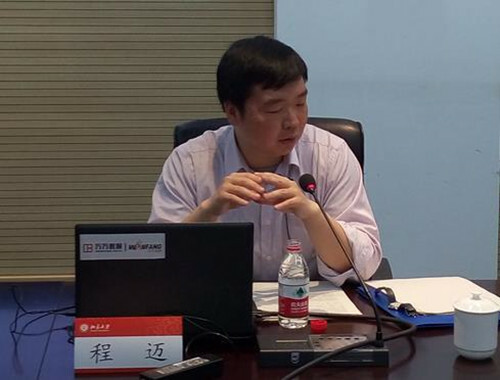 At the same time, Zhang Qianfan, professor of Peking University Law School, Zhao Zhen, teacher of Central University of Finance and Economics, and Peng Chun, teacher of Peking University Law School showed up. And the teacher of Peking University Law School Liu Gang hosted the lecture. Besides, more than 40 teachers and students attended this workshop. In the beginning of the lecture, Liu Gang expressed thanks to the people who showed up. Then, he introduced the speaker and guest. After that, the speaker Mr. Cheng elaborated on the process of parties creating Court of Constitution of Federal and explained the connection between party and Court of Constitution of Federal and successful experience of Court of Constitution of Federal. Finally, Zhang Qianfan, Zhao Zhen, Peng Chun and Liu Gang commented on what the speaker said. At 9:30 p.m., the lecture came to an end.